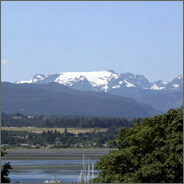 The Comox Valley offers many recreational activities, such as golfing, boating, hiking, biking, and skiing. The Comox Valley truly been discovered in the last couple of years and it is now recognized as being one of the most desirable places to live in British Columbia. The area is snuggly nestled in a beautiful valley and is surrounded by the spectacular scenery of mountains, rivers and the ocean. Come and discover the Comox Valley for yourself.